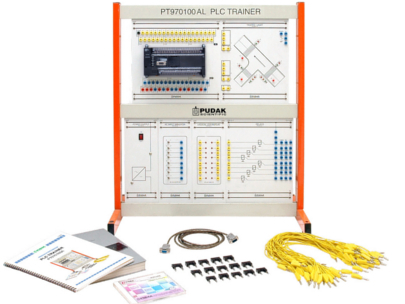 The PLC Trainer PT 970100AL is designed to ease of teach and practicum on automation system using PLC system. This tool is also used to train students so that they will have skill on industrial automation system. The trainer consists of modular panels which gives ease of use for the students in learning the PLC system. Input and output terminals are using 4 mm socket. Experiement manual book is included.